Welcome to the website for the 3rd Western Massachusetts Middle School Cross-Country Invitational Meet that is scheduled for Monday, October 28, 2019. All middle school runners from public schools, private schools, and parochial schools, in grades 5-8, are welcome to participate. Please review the website for all the meet information and registration deadlines. If you think your school will participate at this meet, please click INTENT TO ENTER to help our staff plan accordingly. 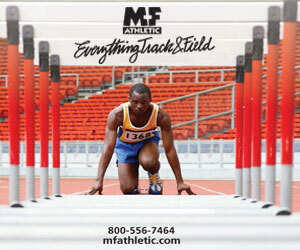 This event is sanctioned by USA Track and Field. Where applicable, USATF competition rules will be in effect. To maintain the integrity of this event, the following eligibility rules will be in effect. This meet is open to all middle school runners in grades 5-8 who attend public schools, parochial schools, private schools, charter schools, and homeschools. A school does not need to have a formal cross-country program to participate. Any runner entered on a school’s roster for this meet must be an eligible team member of the school. No combined schools or town “All-Star” teams. Runners not representing a school will compete as unattached and will not factor into team scoring. Every runner will need a signed waiver submitted by the coach the day of the meet. Every runner must wear the running bib assigned. The entry fee is $8.00 for each team athlete participating at the meet. The entry fee for any homeschooled athlete is $15.00. A minimum of 5 runners is needed to get a team score. If a school enters less than 5 runners no team score will be calculated. The top 20 finishers will receive a medal as they cross the finish line. The 1st place finisher will receive a trophy. A first place trophy and a runner-up trophy will be presented after both races have finished. Non-spiked shoes are required since there is some pavement on the course. Runners will run a total distance of 1.6 miles. A map of the course will be emailed to all coaches a week before the meet. Teams may set up a tent in the designated area. T-shirts will be available for $15. Coaches must email a team roster to the Meet Director by Sunday, October 20, 2019. The roster must be an Excel spreadsheet using the following format: Column 1 – First Name, Column 2 – Last Name, Column 3 – School, Column 4 – Grade, Column 5 – Gender. A check or school purchase order must be received(masschamps@gmail.com) by Thursday, October 24, 2019. If a payment or a purchase order is not received by this date, your team will not participate. No exceptions will be made. There are no refunds(unless the meet is canceled) – this is an entry fee, not a participation fee. Each competitor MUST have his/her waiver signed. Coaches must submit waivers when picking up the team packet on meet day. Please follow directions of the police and parking monitors. Absolutely no dogs will be allowed at the race site – that includes ALL course/fields/team areas/parking areas. Individuals with dogs will be asked to immediately leave the facility by the staff. Please respect this request. There are bathrooms on site. Please do not “use” the woods. TRASH – IF YOU CARRY IT IN, PLEASE CARRY IT OUT! Heavy rains may cause a delay to the meet schedule. In the event of torrential rains, the meet will be postponed to Tuesday, October 29, 2019. Check the meet website for any weather statements.